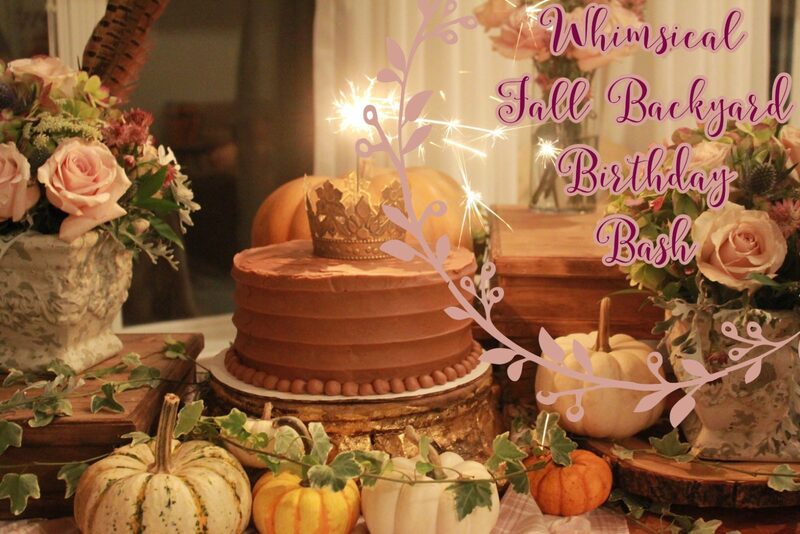 This past weekend we celebrated my sister’s birthday with a little family backyard bash. 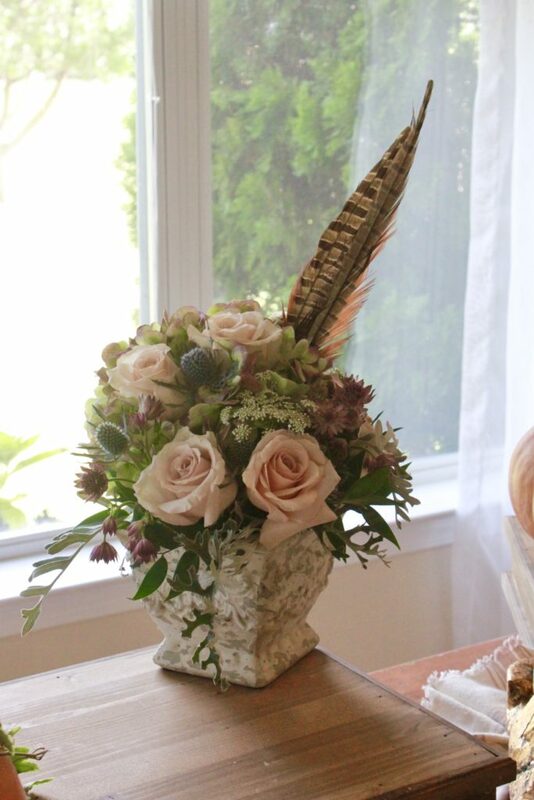 However, with me being me, I would not let it be just that. 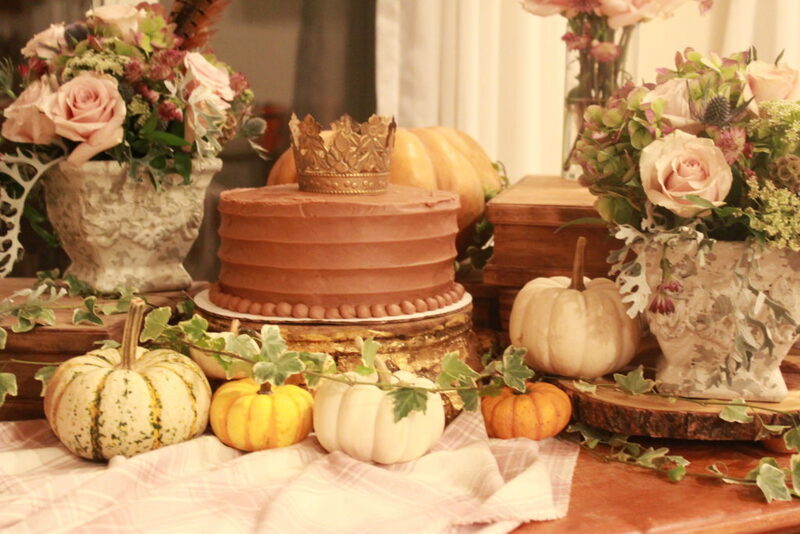 I went with a whimsical fall wonderland. 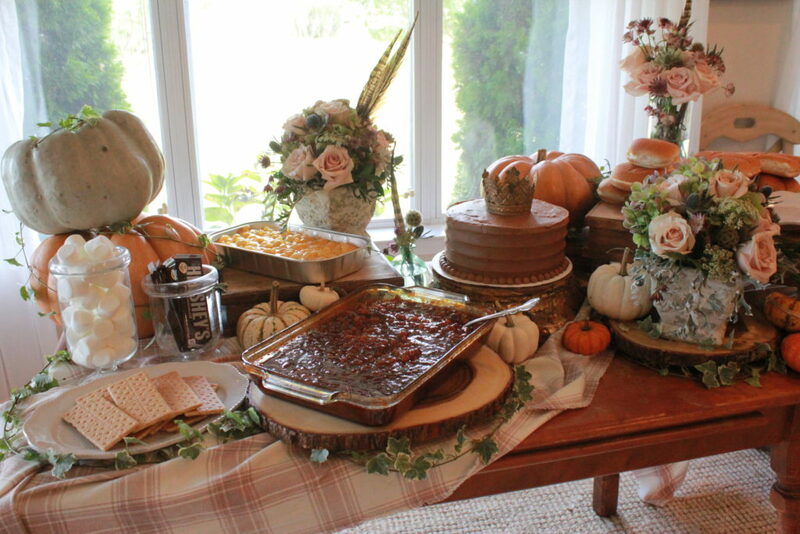 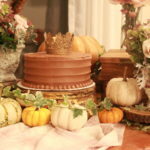 Since my sister loves fall and the muted earth tones, that is what I went with for the party’s palate. 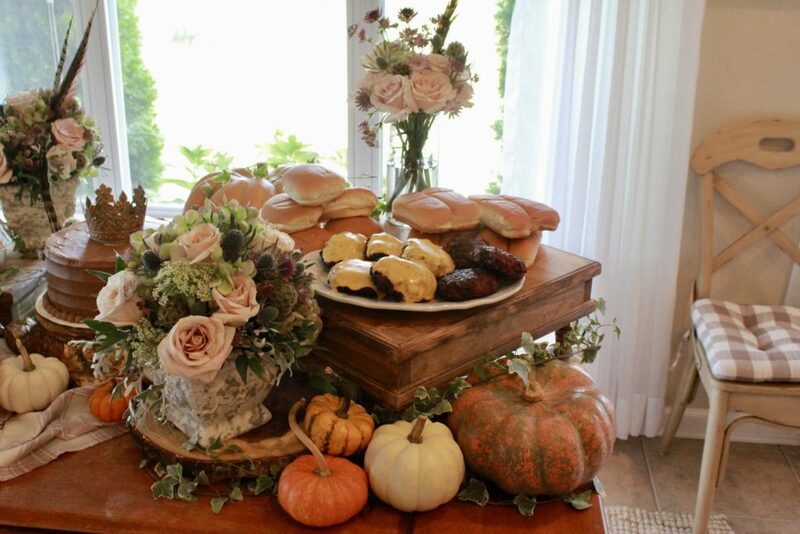 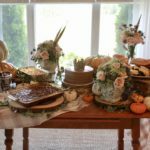 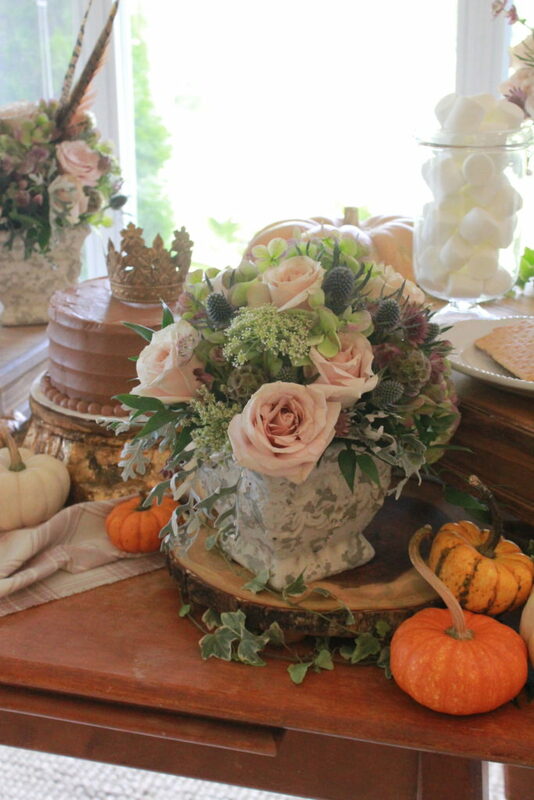 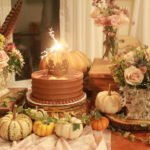 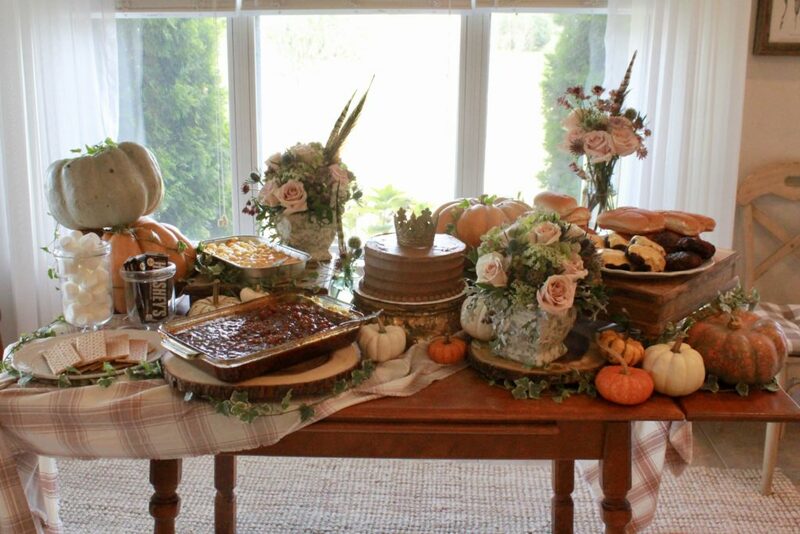 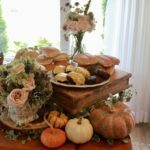 Mauve and cream checked flannel lined the table while gorgeous fairytale pumpkins and ivy flowed throughout. 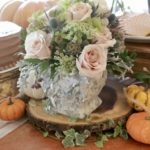 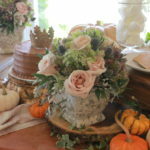 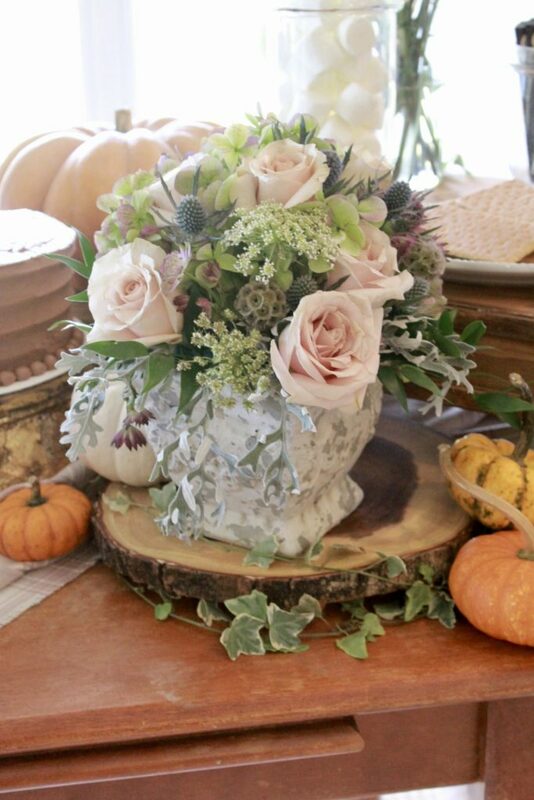 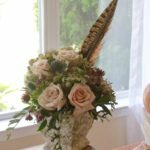 Floral arrangements of antique hydrangeas and quicksand roses and other wistful foliage filled the table with flair. 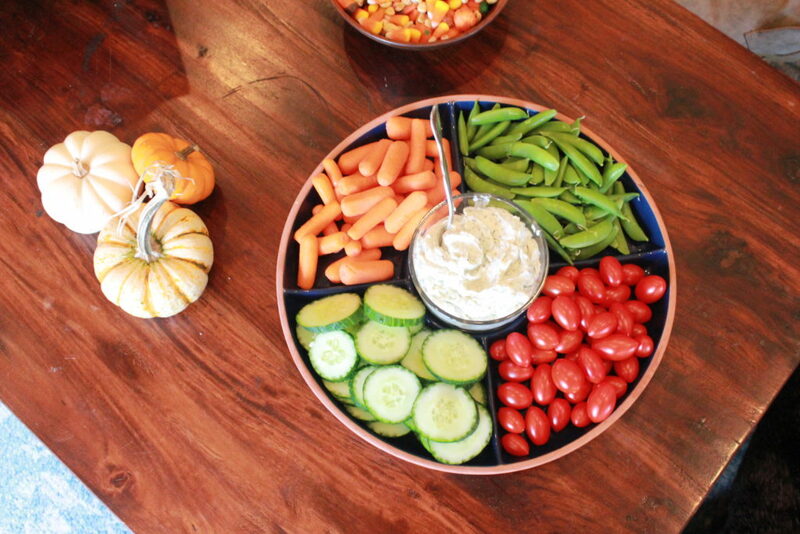 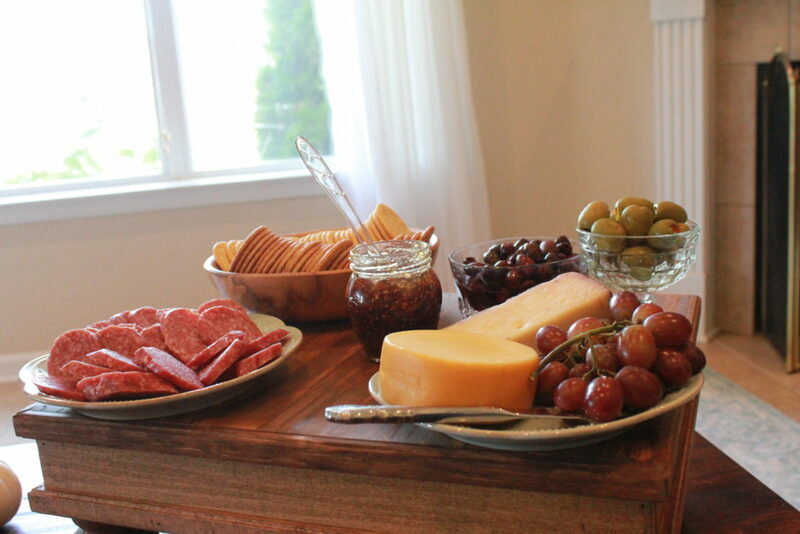 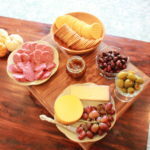 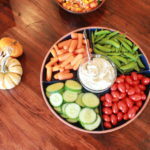 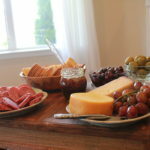 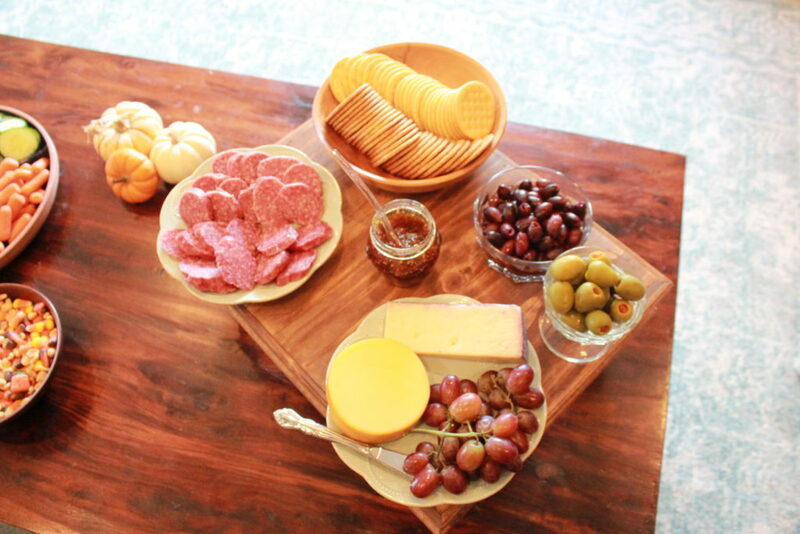 Guests snacked on a crudité tray and charcuterie board as burgers hit the grill and the fire pit started up. 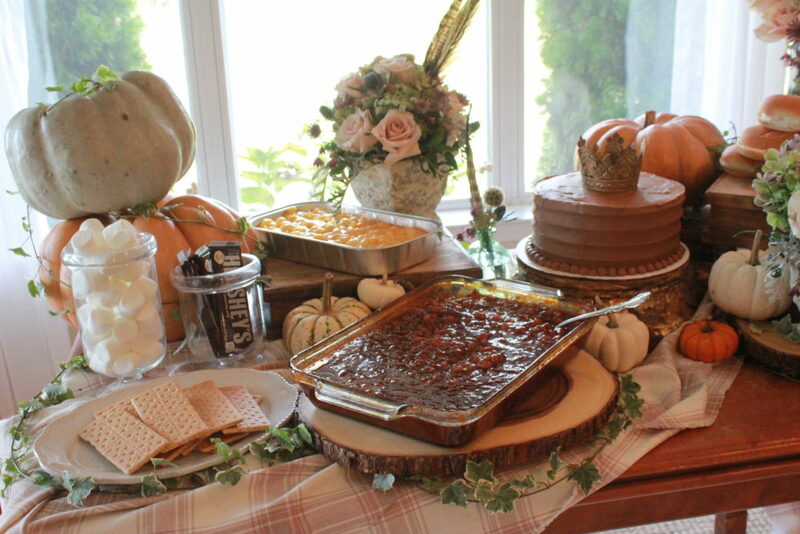 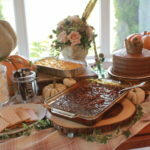 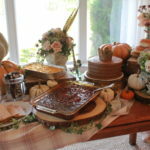 Plates were filled with burgers from the grill, fire roasted hot dogs, mac & cheese, and baked beans. 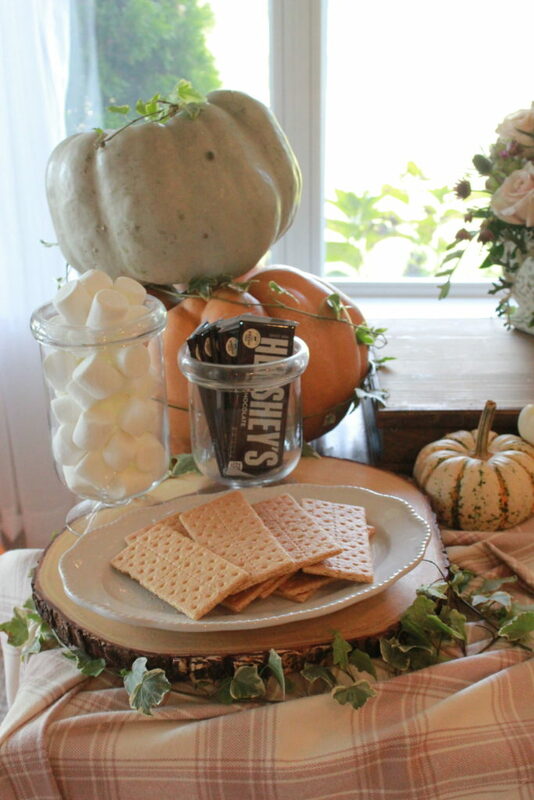 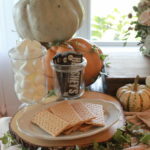 After a bountiful meal, everyone gathered around the fire for s’mores. 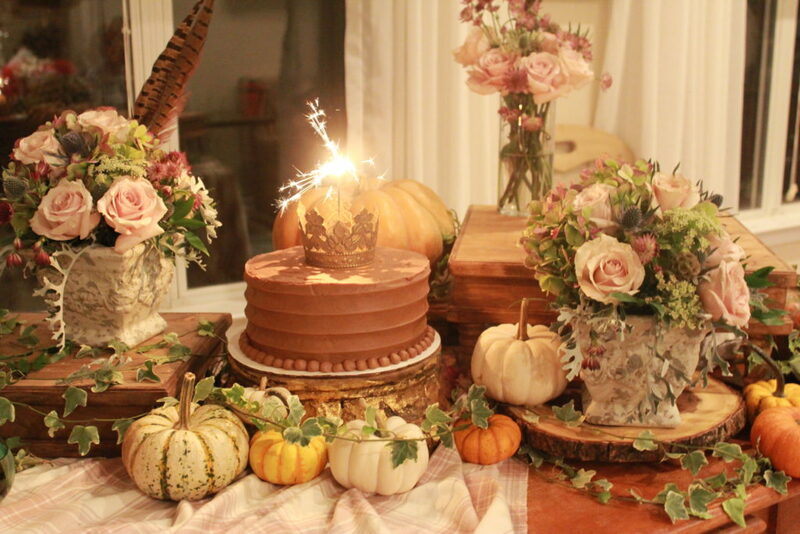 The party had a sweet finish with a DunkBakes cake complete with sparkler candles and a princess crown.